WOW! This bar packs a wallop! Vetiver has long been a popular scent with both women and men and is often used as the base note in both perfumes and colognes. Vetiver imparts a robust, woody aroma, warm and comforting. In this soap, vetiver is one of three essential oils that complement each other deliciously. Coriander adds a touch of spice, may chang a lemony freshness. If you’ve been a fan of our Indonesian Safflower bar, you’ll also enjoy this close cousin. 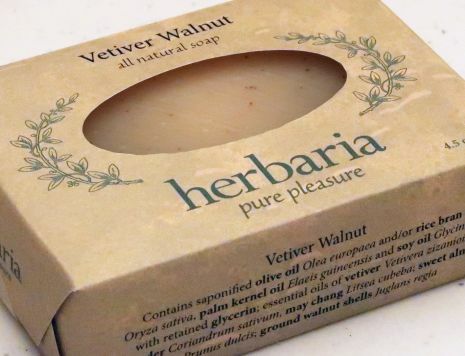 Vetiver Walnut is more earthy; Indonesian Safflower a bit more floral. Finely ground English walnut shells add a scrub that invigorates and exfoliates your skin as you soap up. You will feel fully clean. To top off your skincare, we’ve added sweet almond oil for a soothing moisturizer. 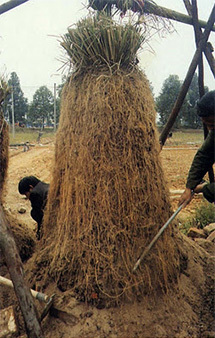 Vetiver essential oil is derived from the roots of a tropical grass.